Built ca. 1835. 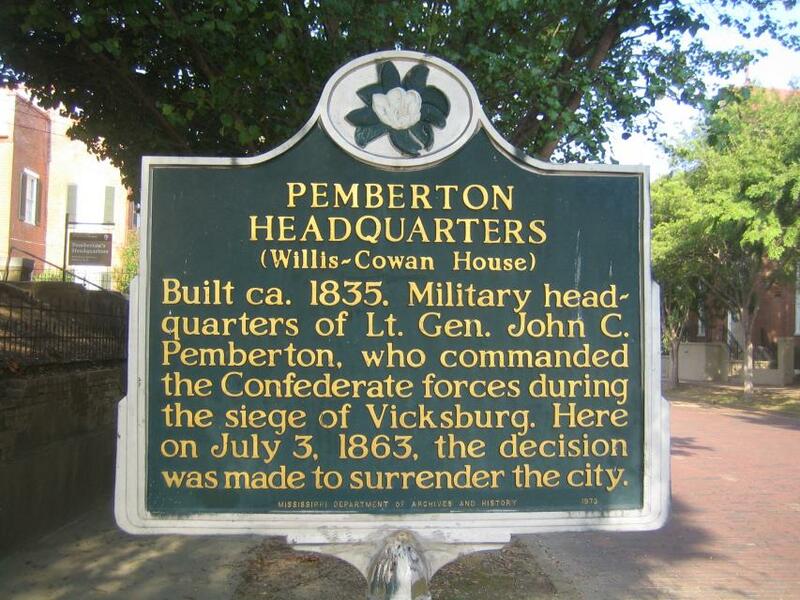 Military headquarters of Lt. Gen. John C. Pemberton, who commanded the Confederate forces during the siege of Vicksburg. Here on July 3, 1863, the decision was made to surrender the city. This marker can also be identified by its HM code. You can use the hashtag #HM1JQR in tweets, and any other place where you might refer to this marker, including when searching on this site.